Gourd flowers by Kasin Hunter. Often over the years that I've been working (playing) with gourds, I've heard the question about sexing gourd flowers - which is female, which is male? 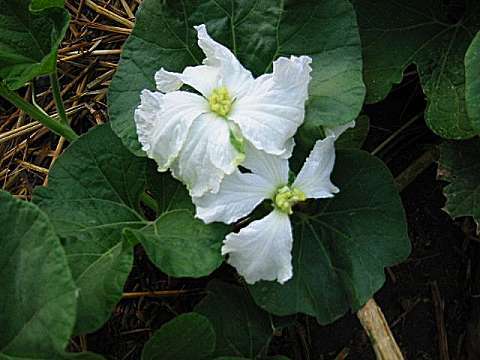 So what I did with my good crop of gourd plants in 2001 was to photograph several flowers, both male and female so you could see several examples. Take a look. 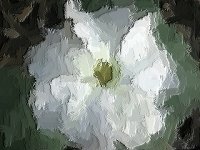 The first batch of pictures are all female flowers. Typical female characteristics are the large yellow insides and the bulbous knob under the petals. 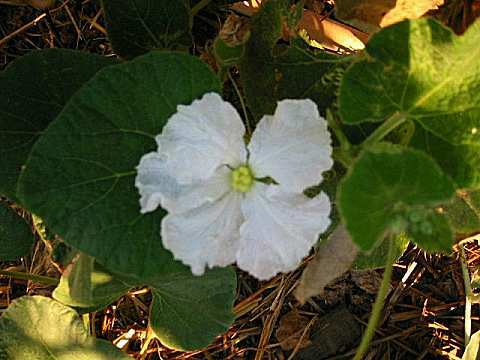 Let's take a look at some male gourd flowers, now.